In today's age of store shelves filled with processed food, sugar is a big part of our diet. If you check the nutrition table of products you buy in the store, you can see that many of them contain added sugar. Even “salty” products can have a surprising amount of sugar. For example, one tablespoon of ketchup has around 4 grams of sugar. Since many of us also consume food packed with sugar, such as sweets and sugary drinks, it can add up quickly. The effect of sugar on our body has been researched for years and what scientists found isn’t good. For this reason, many people are either avoiding sugar entirely or trying to switch to natural alternatives. A popular natural sweetener is honey, but agave nectar is also a viable option. This brings up the agave nectar vs honey debate when trying to decide what would be the best choice. In today’s article, we will explore the benefits of both sweeteners and which one would be better for you. Many of you might recognize agave as the plant from which tequila is made, but it is not only used in the production of alcoholic drinks. For thousands of years it has been used as an ingredient in food. The Aztecs used agave liquid to flavor drinks and food, and believed that agave was a gift from gods. The agave plant is large and spiky, resembling a cactus in both form and habitat. However, unlike cactus agave plant is a succulent which is similar to Aloe Vera. Even though agave includes over 100 species of various colors and sizes, one species is better than other ones for getting agave nectar. Agave nectar is mostly produced from the Blue Agave that grows in the volcanic soils of South Mexico. This specific species of agave is used for its high carbohydrate content which results in a high percentage of fructose in the nectar. In the production of agave nectar, several steps are needed. Firstly, the agave plant needs to be 7-10 years old and its leaves have to be cut off so its core is revealed. The core is commonly known as pina and resembles a pineapple. Sap from the core is extracted, filtered, and then heated at a low temperature. Low temperature is required for breaking down carbohydrates into sugars, mainly fructose. Because it is processed at a low temperature, many people regard agave nectar as raw food. And since agave nectar is made from a plant, it's also great for vegans. The main sugar in agave nectar is fructose, and the rest are glucose and inulin with traces of some other sugars. Inulin is a starchy substance which can be found in some fruits, vegetables, and herbs. The good thing is that inulin and high concentration of fructose result in agave nectar having a low glycemic index. But, it is not eaten alone so the food it is added to has to be taken into consideration also. Honey is a well known natural sweetener and medicine which has been used for thousands of years. It is a sweet substance produced by honey bees. Bees collect nectar from flowers and process it in the hive through regurgitation and water evaporation. Regurgitation includes “vomiting” of collected nectar from part of the bees stomach reserved just for storing nectar. The honey produced by the bees is stored in vax structures called honeycombs and don’t need to be processed before human consumption. After the honey is taken from the beehive, we can recognize two types: raw honey and ‘regular’ honey. Regular honey is processed with heat (pasteurized) which changes its properties a bit. Store bought honey is usually processed. Raw honey is honey that has not been heated and keeps all its properties. It is always recommended to choose raw honey to reap all the benefits that honey can offer. More info on where you can get raw honey you can find here. Sugars in honey are primary glucose and fructose with traces of some other carbohydrates. The exact composition of honey depends on the type of honey, which is determined by a source of nectar used by the bees. Today we have more than 300 kinds of honey, each with its unique flavor, color, and nutritional value. As you can see, agave nectar and honey are produced very differently so they cannot be the same even though both are natural sweeteners. Because of this, we will go through some characteristics of both to see how different they are and which one may be better for you. Firstly, we should tackle the basis of both - and that is sugar. Both nectar and honey contain primarily sugar, but they differ in sugar content. The difference in sugar content has a significant influence on how our body reacts to them, so it is important to take it into consideration in agave nectar vs honey debate. Both honey and agave nectar are made of sugar so they cannot be much different, right? Well, it turns out that honey and agave nectar are similar but differ in sugar content. The main sugars in agave nectar and honey are glucose and fructose with traces of some other sugars, but only glucose and fructose are relevant for us. Sugars in honey include 30% of glucose and 40% of fructose, while agave nectar has 75 - 90% of fructose. Fructose is a simple sugar found in vegetables and fruit, and some of it is manufactured in the lab. Moreover, it is commonly added to processed foods in the form of high fructose corn syrup. Glucose, also know and blood or grape sugar, is the primary source of energy for the cells in our body. Glucose can be found in foods such as bread, fruits, potatoes, and other food rich in carbohydrates. Food containing carbohydrates can be rated on a scale called the glycemic index (GI). It measures how much food rich in carbohydrates affect blood sugar levels over a period of time, usually two hours. As a reference the scale uses glucose or white bread which is given a GI of 100. The food compared have the same amount of carbohydrates. Food with higher GI (over 70) break down quicker during digestion and quickly release their glucose into the blood. Lower GI foods break down slower and slowly release glucose into the bloodstream which means that there are no spikes in blood sugar levels. Blood sugar levels fluctuate all day and begin to rise when you eat, especially after eating food high in carbohydrates such as potatoes, pasta, and bread. The spikes happen when glucose builds up in your bloodstream and for people with diabetes it happens because their body is unable to properly use glucose. Glucose is the primary fuel for our cells so it cannot be used until it enters the cell. Insulin unlocks the cell so it can receive the glucose from the bloodstream. In people with diabetes pancreas either doesn’t produce insulin or their body becomes resistant to insulin. If insulin isn’t working properly, the glucose just floats around in your blood and increases in concentration over time. As glucose builds up in your blood, your blood sugar level rises which can cause damage to blood vessels, organs, and nerves. The glycemic index measurement is especially important for people with diabetes because they need to control the glucose level in their blood to stay healthy. Food with higher GI can trigger a spike in blood sugar and insulin release, and also digest quicker than food with a lower GI. Due to a slow breakdown, food with a low GI (less than 50) makes you feel full longer than food with a high GI. Foods with a high GI can trigger a spike in blood sugar and insulin release after eating. By watching the GI of the foods that you consume, you can keep your blood sugar under control. Now that you are familiar with what GI is and how it is measured, it’s time to check the glycemic index of agave nectar and honey. Since their sugar content is significantly different, you can assume that their GI will be very different. The GI of honey is 58, while the GI of agave nectar is only 19. According to this, you can see that agave nectar has the potential to keep you feeling full for longer and can help you in keeping your blood sugar under control. In fact, agave nectar is recommended for people with diabetes. If you paid attention to how table sugar tastes, you might have noticed that it only has a sweet taste and there is not much to it. On the other hand, honey and agave nectar have a unique flavor aspect to them. Agave has a mild flavor resembling caramel while honey has a stronger, more floral flavor. While those are general rules when it comes to agave and honey flavor, their flavor is heavily dependant on the type of syrup. Agave nectar is mainly found in two types: dark and light. The light agave nectar is heated less and goes through a more thorough filtration process which produces a syrup with mild flavor. Because of nectar’s mild flavor, it is great for culinary applications. The dark agave nectar is less filtered so the solid left in it gives the syrup a stronger taste. Some even compare it to maple syrup. Honey taste can vary greatly as there are several hundreds of unique honey types, each with a different flavor. The taste of honey depends on the floral source that bees use to make it. Considering how many species of flowers there is you can imagine that there are many possible combinations. Colors of honey range from dark brown to colorless and flavors range from mild and blend to strong and pungent. As a general rule, light honey has a milder taste than dark honey so if you don't like the taste of honey you can try light honey. 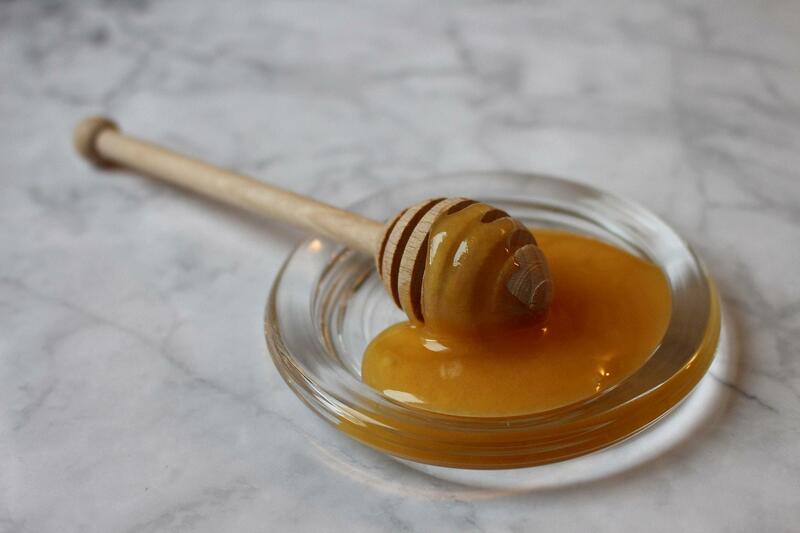 You might not like the taste of honey because of its strong flavor, but you don’t have to give up natural sweeteners. Agave nectar has a very mild flavor which can be tolerated by anyone so it might be more palatable for you. Additionally, agave nectar is a bit sweeter than honey so you can get away with using less while maintaining the sweetness. Sweeter taste of agave nectar comes from a higher content of fructose. Since honey and agave are natural sweeteners, you are already reaping health benefits because of not using processed sugars. However, the difference in sugar content of honey and agave nectar affects your body differently. Agave nectar has primarily fructose, which can be bad for your health. While glucose is used by every cell in our body as an energy source, fructose can only be metabolized in the liver. When people eat food which is high in calories and fructose, the liver gets overloaded and turns fructose into fat. This is the reason that many scientists believe that excess fructose consumption is the cause of many diseases today. Some of these diseases include diabetes type II, obesity, cancer, and heart disease. This makes it seem as if agave nectar should be avoided at any cost, but that is not the case. Stronger sweetness combined with less sugar in agave nectar means that you can have fewer calories and still satisfy your sweet tooth. Moreover, because of the high content of fructose agave nectar breaks down slowly when digested so it has a lower impact on blood sugar. More research is needed but if you consume agave nectar in moderation, your body should be able to handle it just fine. Another good thing about agave nectar is that it has saponins and fructans. Fructan is a fiber with many health benefits and it is very effective for weight loss. Saponins have anti-inflammatory and system boosting properties. In Aztec times agave nectar was even used to treat wounds because of its anti-bacterial properties. The health benefits of honey are well known, it is still used in medicine. Honey also contains a lot of phytochemicals which serve as antioxidants. Scientists believe that antioxidants help the body get rid of harmful free radicals and can help prevent certain types of cancer. It has been shown that honey is effective in reducing cough, improving sleep quality, calming sore throat, can help in healing wounds, and many more. Moreover, honey is anti-bacterial, anti-fungal, anti-viral, and can help reduce seasonal allergies if you consume honey from your local area. More details on the positive effects of honey when consumed regularly you can check here. Honey has so many amazing benefits but there is one thing you need to know. Full benefits of honey can only be reaped if you consume raw honey; raw honey is honey which has not been heated (pasteurized). Honey sold in stores is usually pasteurized to destroy any bacteria and yeast, but also to reduce crystallization which makes honey look "prettier" on the shelf. Unfortunately, pasteurization of honey essentially destroys the product because a lot of nutrients, antioxidants and other compounds are destroyed during the process. As a result, many benefits of honey are reduced or even destroyed. We encourage you to buy honey from your local beekeepers so you can reap the full benefits of honey. We already mentioned that agave nectar and honey have some uses in medicine, but they are not only limited to that. Both are great condiments in cooking and can enhance the flavor of your meals and drinks. However, each of them can have some specific uses which depend on their flavor and properties. Who wins the battle - agave nectar or honey? Many studies have shown that consuming too much sugar can cause obesity and many chronic diseases, such as diabetes. White processed sugar commonly used as a sweetener doesn’t offer much besides sweetness, and it is so heavily processed that it has been stripped of all nutritional value. Basically, white sugar is just empty calories with sweet taste so looking for natural sweeteners is not a bad idea. Natural sweeteners have a nutritional value, and in some cases can even be sweeter than processed sugar so you can use less. We have explained how honey and agave differ and how you might find them beneficial, so it’s time to choose the winner of agave nectar vs honey battle. Agave nectar can be incorporated into any diet and can even be beneficial for people who have to keep their blood sugar levels under control. If you are one of those people, we strongly advise to try out agave nectar. The mild flavor of agave nectar can also be great for anyone who dislikes the strong taste of honey. However, we think that honey might be a better choice because it offers so much more. From good things agave nectar mostly only has a mild flavor and low GI, while honey also adds a ton of health benefits. However, this doesn’t mean that you should completely discard agave. Substituting white sugar with any natural sweetener is a good choice, just remember to use them in moderation.